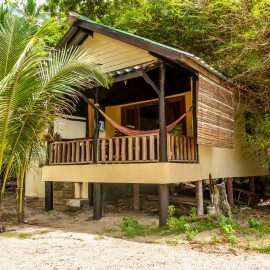 The Family Bungalows are situated on the rocks, inside there are two floors, making them popular amongst families or groups of friends, or couples seeking slightly more space. These rooms can be booked with extra beds, to accommodate more people, for those of you who are on a tight budget. Many of them have now been renovated with glass sliding doors, and more space inside. The family rooms have extra special touches, and special attention has been made to blend them in with the nature around, be it the rocks built into the rooms, or the gardens designed around them. The new pathways along the rocks have been re-landscaped, and this makes access to the bungalows much more easy and convenient. Ideal for couples seeking a bit more space and privacy are the newly built family rooms. These feature a big double bed on the lower floor, and two singles on the airy upper floor, making it perfect for a family or a group of friends. These rooms have great sweeping views over the beach, and also out to sea, perfect for seeing the sunrise in the morning. 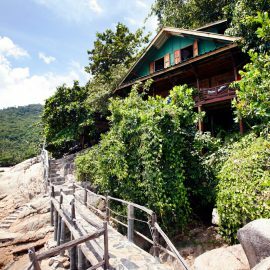 The bungalows are stilted high up above the rocks, allowing them to receive the fresh sea-breeze. The bathrooms are spacious, floored with slate and stone, giving a clean and modern yet natural finish to the design. 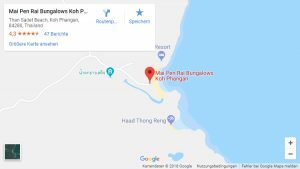 Please state when making your booking, what time you are arriving on Koh Phangan, so that we can organize transport for you. Car taxi leaves daily from Thong Sala at Orion office, two doors past Niras Bakery on the left at 1.00 pm, taxi fare 200 Thai Baht one way, if you are arriving after the 1.00 pm taxi time, please phone on +66 (0)93 9598073, so we can organize private pick up transfer for you, at the cost of 800 Thai Baht for the car. 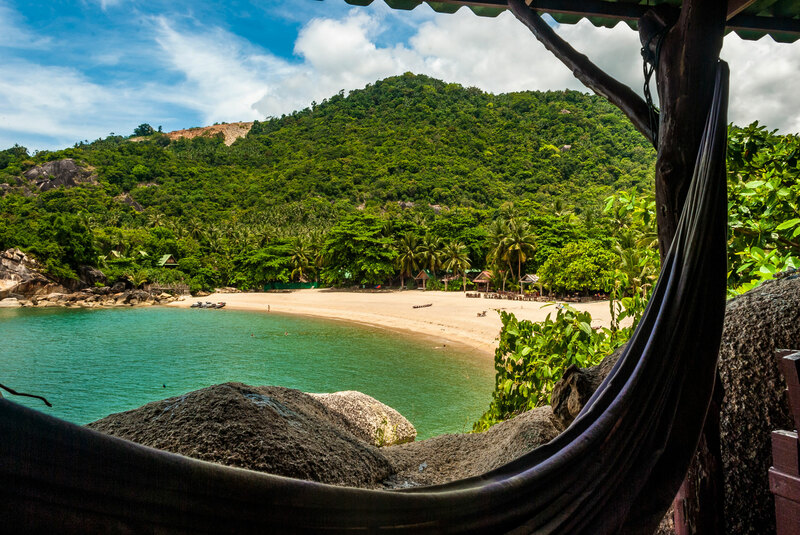 Please also look at the How To Get There page for information on the 12.00 Thong Naipan boat from Maenam beach, Koh Samui. 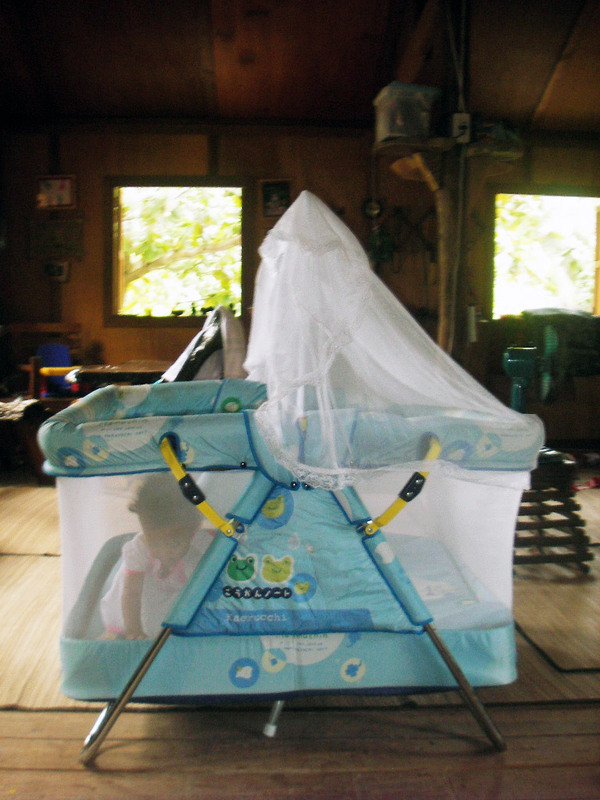 If you are coming with a young baby or toddler we also offer a large baby cot / play pen with mosquito net, if you would like this in your room, please let us know. 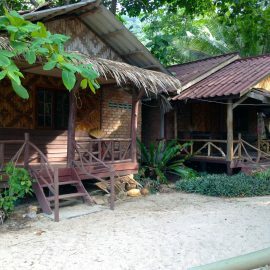 The baby cot is 100 THB / per day and only available for the Bungalows On The Beach. 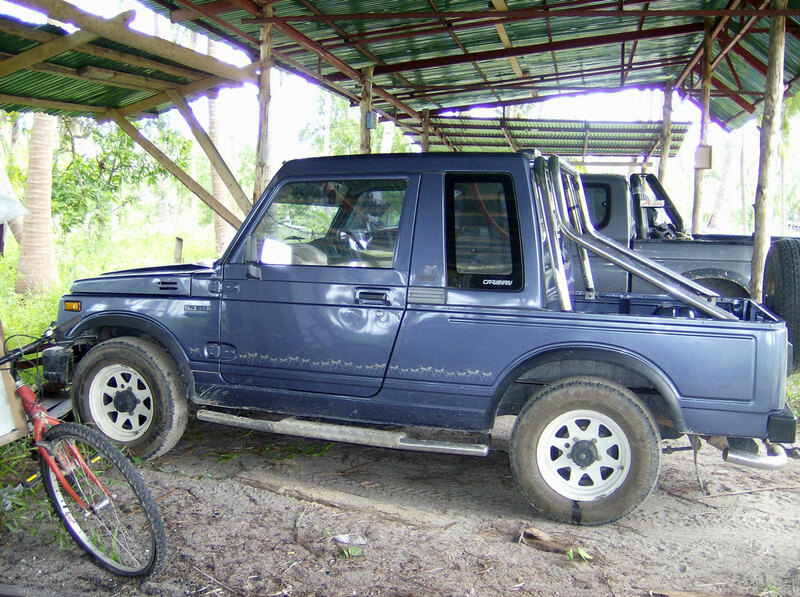 If you are interested in renting a jeep during your stay at MaiPenRai Bunglows then please let us know. Price for jeep rental is 1.000 THB per day. 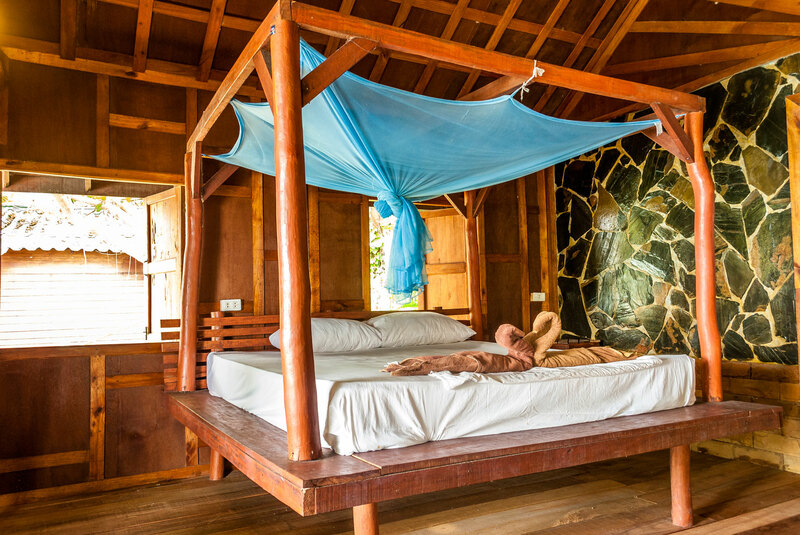 People who have been to Mai Pen Rai Bungalows often know the particular number of the bungalow that they want, if you have any preference, please tell us, but note that during busy times such as Peak season and Full moon, we cannot guarantee a particular number, but will do our best. You might also be interested in!